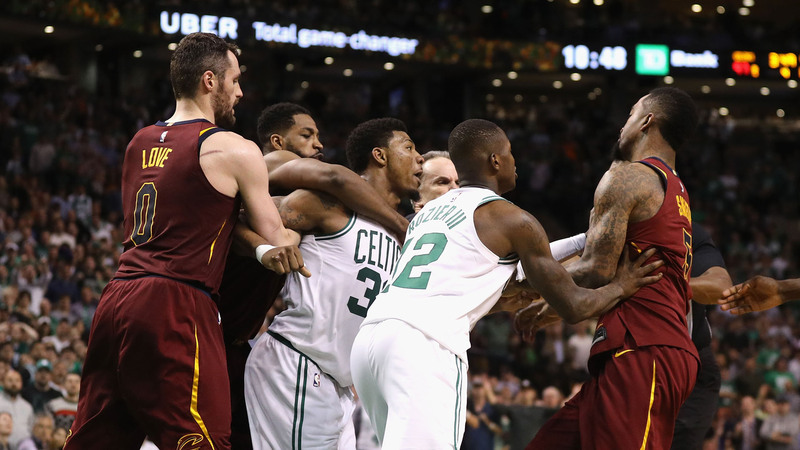 Celtics guard Marcus Smart was not happy with JR Smith on Saturday. Smith and Smart’s teammate Aron Baynes became tangled up in the paint during a preseason game and Smith shoved Baynes in the back after the two got unstuck. Smart didn’t like that, so he went after Smith and had to be held back by multiple teammates. Smart was ejected on the play. The Celtics and Cavaliers faced off in the Eastern Conference Finals each of the last two seasons. Smith and Smart were involved in an altercation in Game 1 during last year’s series. The Cavaliers won both playoff matchups.